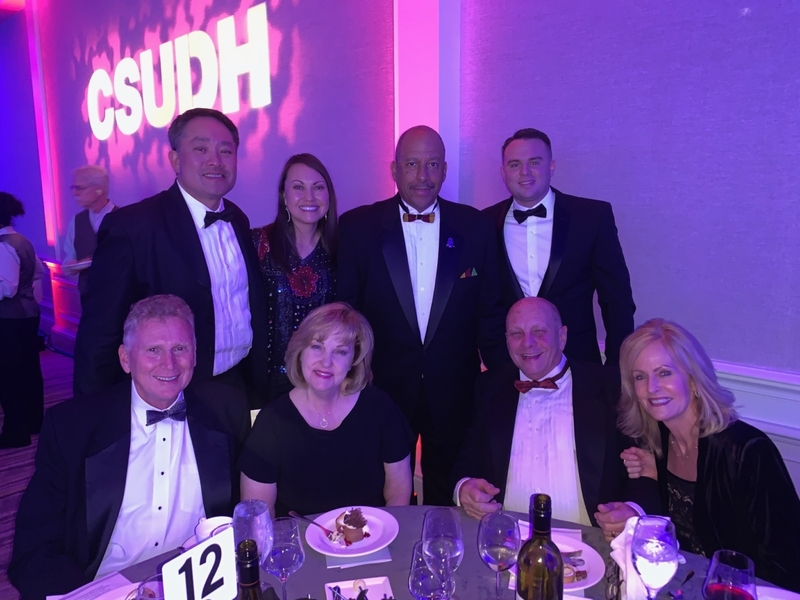 A week of activities at California State University Dominguez Hills (CSUDH) culminated in an elegant evening event on February 9, 2019, to celebrate the inauguration of Dr. Thomas Parham – the university’s 11th President. The event was also a benefit for the school’s Presidential Scholars Program, which awards a select group of students with one of the region’s most prestigious scholarships for outstanding academic achievement, with substantial financial assistance to support their CSUDH education. Stemming from our commitment to education and youth development, Torrance Refining Company (TORC) continued the Torrance Refinery’s tradition of focused giving to support this prestigious program. CSUDH is the pre-eminent four-year college in the South Bay attended by many students from Torrance and neighboring cities. TORC representatives were joined that evening by our other higher education partner, El Camino College: President Dr. Dena Maloney, Foundation Director Andrea Sala and Development Officer Heidi Wang, with their respective husbands. During the event, CSUDH Presidential Scholars Program alumni Dr. Teresa Ramirez, a first-generation Mexican-American scientist, and current scholar Zara Orozco spoke of the life-changing impact the scholarship has made on their lives. At his investiture ceremony, President Parham chose the theme “Transforming lives that transform America” to ensure that CSUDH guides and molds the next generation of local and national leaders just as his own mentors and teachers helped put him on his life’s path. Through our long-standing partnership with CSUDH and support of the Presidential Scholars Program, TORC is proud to be a catalyst for transforming students’ lives. Congratulations to this year’s CSUDH Presidential Scholars. To learn more about the recipients, CSUDH Presidential Scholarship Program and the school’s new President, please visit: https://www.csudh.edu/president/presidential-scholars/.